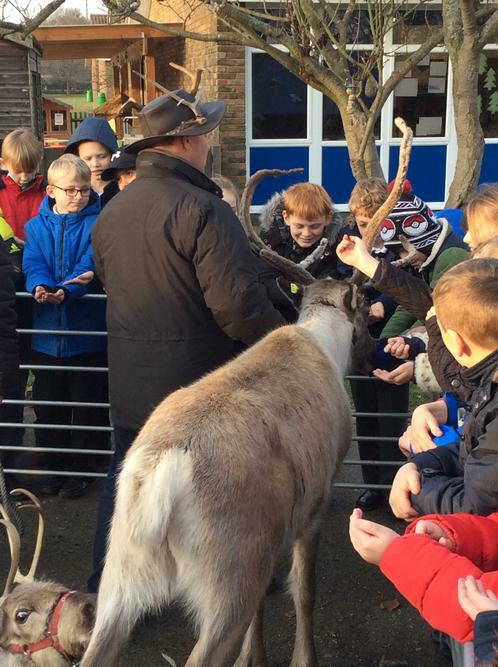 The whole school enjoyed a visit from two reindeers and their handlers. Snowy was the oldest reindeer, aged 4 and Cloudy was 1 year old. 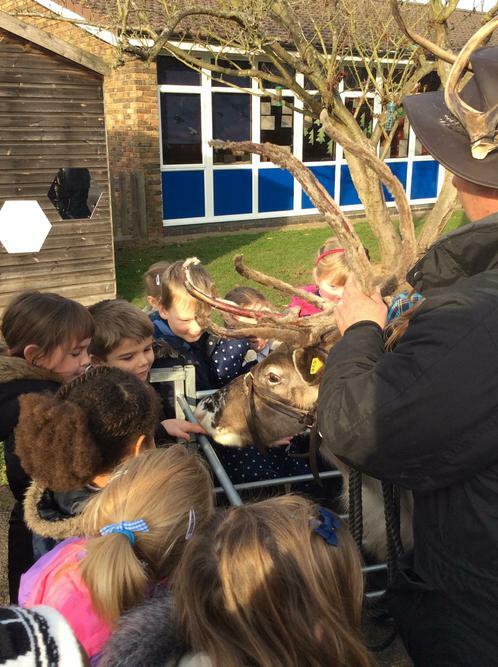 The handlers engaged with the children in age appropriate talks about where reindeers can be found, their predetors, what they eat (carrots are not top of the list!) and interesting facts relating to their horns and other parts of their anatomy. 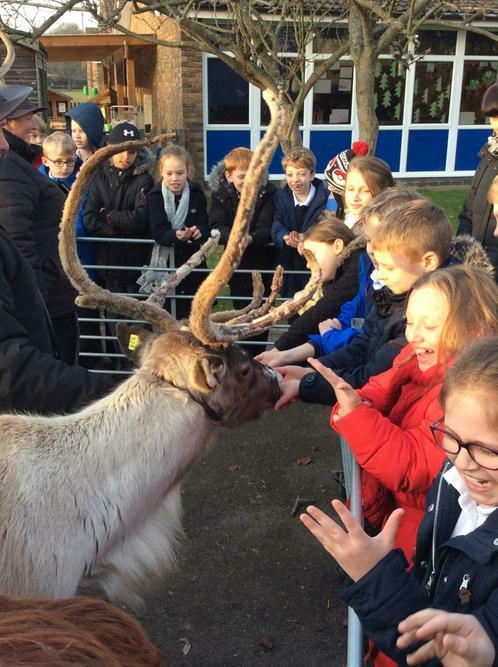 The children were able to ask questions about the reindeer and finished of their sessions with the opportunity to feed the reindeer.